Quinns: …when there’s work to do, facts have to wait. Matt: That’s right. 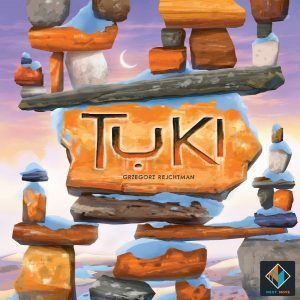 First up on the non-facts train is my opinion that a game called Tuki has been announced (pictured at the very top of this page) as the next game in the series that brought us Azul and Reef. 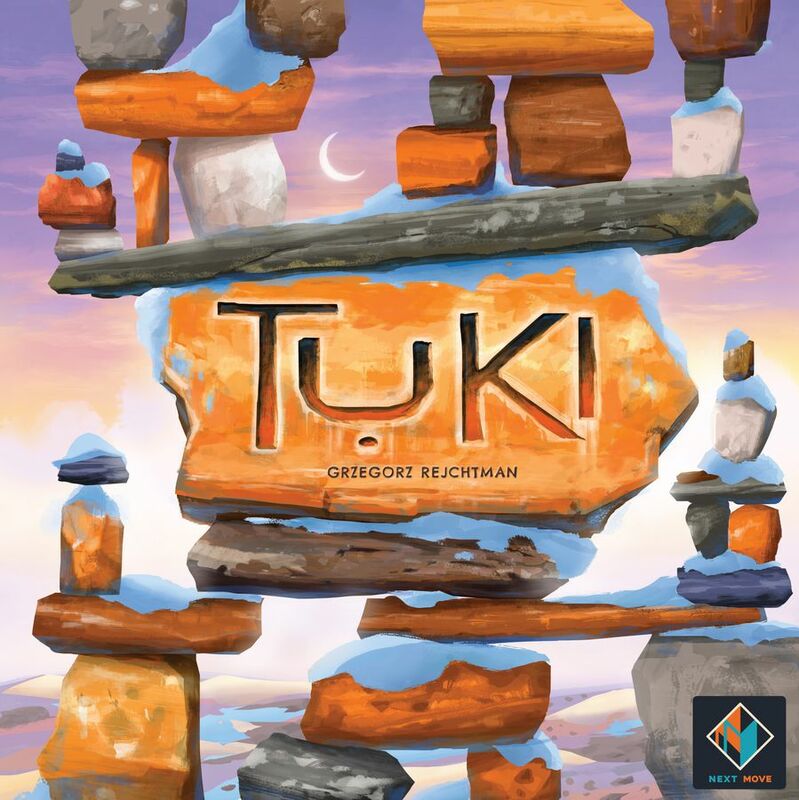 Inspired by the Inuit practice of piling up stones to form landmarks or commemorative sculptures – imagine a cross between a cairn and a henge and you’ll soon be on the pebbly path to comprehension – Tuki has you trying to place a set of coloured 3D rectangles into the formation shown on a card, holding them in place using a limited selection of other 3D shapes that resemble a mutated family of Tetris. 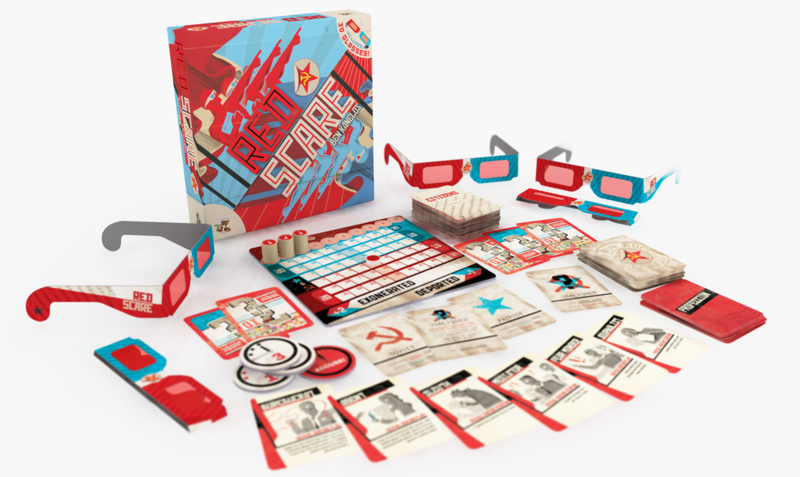 Very much billed as a speed-puzzler rather than a dexterity game, much like NMBR 9 this appears to be a game that I’m convinced I’ll be quite good at but in actuality will just make me scream. Quinns: Oh my goodness! The second expansion for Captain Sonar has been announced, and while the first expansion was a bit underwhelming, this new box looks set to whelm the crap out of us. 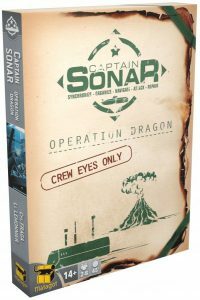 Captain Sonar: Operation Dragon will offer a branching campaign to the team game of submarine vs. submarine, letting players duke it out in a 7 game story where teams clash at never-before-seen depths while searching for delicious minerables. And not only will the campaign offer new maps and abilities, Operation Dragon will ship with a “toolbox” containing new modules that you can swap into any game of Captain Sonar. Personally, I think this is exactly what Captain Sonar needed. Getting 6 to 8 people together to play the base game is such a chore that I’ve barely opened the box since our review. The campaign will, hopefully, give people a reason to get everyone over to their house to play some Captain Sonar, turning it into a real “event” game, and give me a reason to play the first expansion, which is (hopefully) compatible. I’m hype! 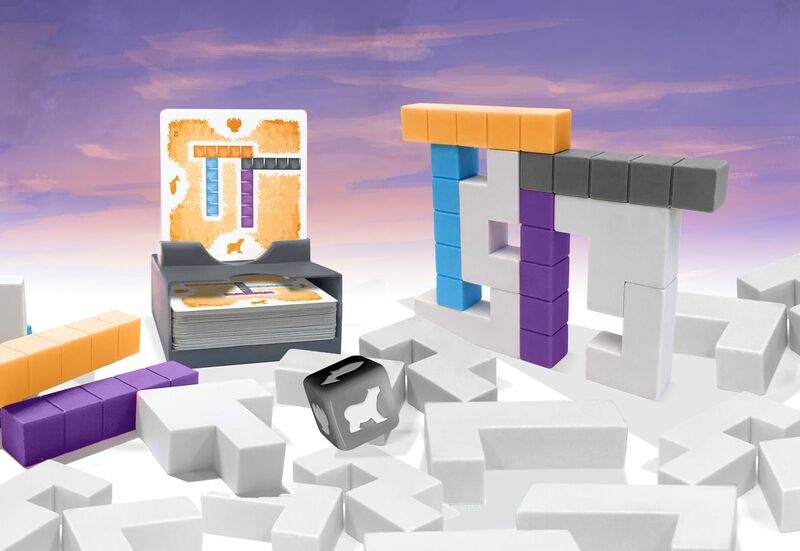 Quinns: Portal Games has announced a raft of new releases for the year 2019. True to their name, it’s like they’ve discovered an actual portal to the board game dimension. Imperial Settlers: Big Box will offer the vicious civilisation-building game together with all of its expansions in (you guessed it) one big box. Then we’ve also got two new games coming in “the same universe”. Imperial Settlers: Roll & Write will be a (you guessed it) roll and write game about constructing buildings and collecting bonuses, while Imperial Settlers: Empires of the North will be a (you didn’t guess it) standalone card game centreing around Northern civilisations, starting with the Vikings, Inuits and Scottish. Portal’s cryptic crime-solving game of Detective is getting yet-more love. 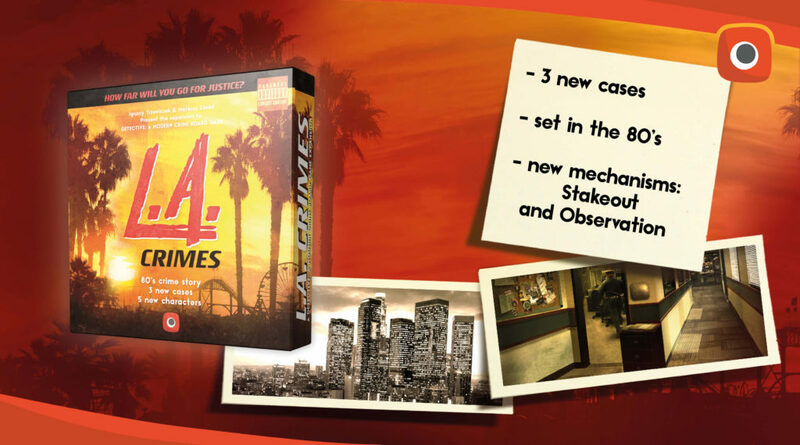 As well as the previously-announced expansion L.A. Crimes, the new “Signature Series” will be a range of expansions created by well-known board game designers, kicking off with Rob Daviau and Mike Selinker. Most surprisingly, Portal has also announced that a new version of fashion business manager Prêt-à-Porter will be coming to Kickstarter this year, illustrated by the superb Kwanchai Moriya. 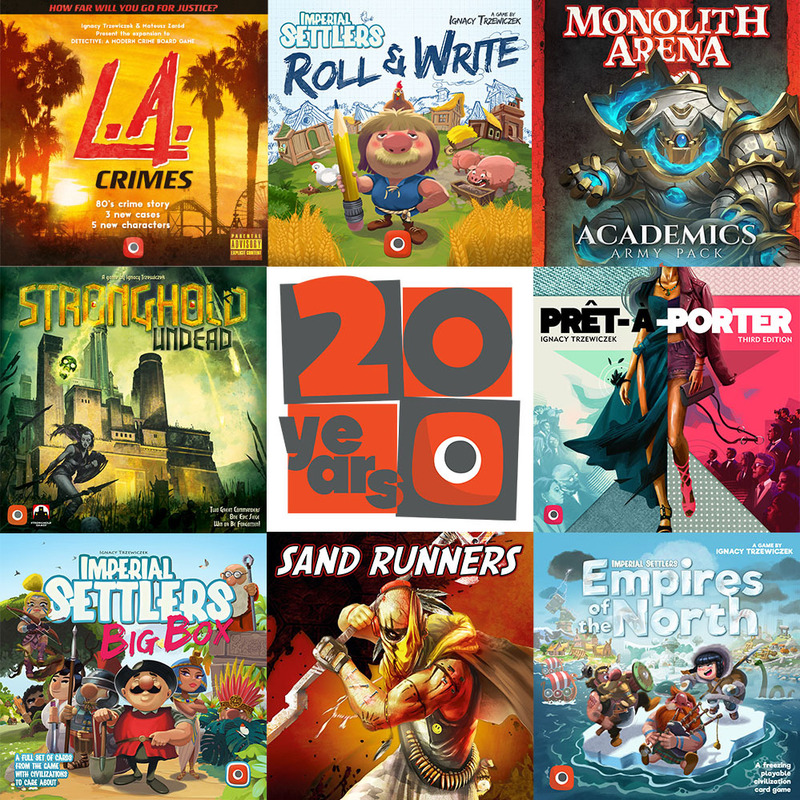 We’ve not played Prêt-à-Porter at SU&SD, but I will say I’m relieved that Portal Games are sticking with the same theme of fashion houses for the new edition, after publicly stating that it wasn’t great for sales. Also, hey, the board game industry has become a heck of a lot more diverse and welcoming in the 9 years since Prêt-à-Porter first came out. I bet that theme is going to be great for sales now! 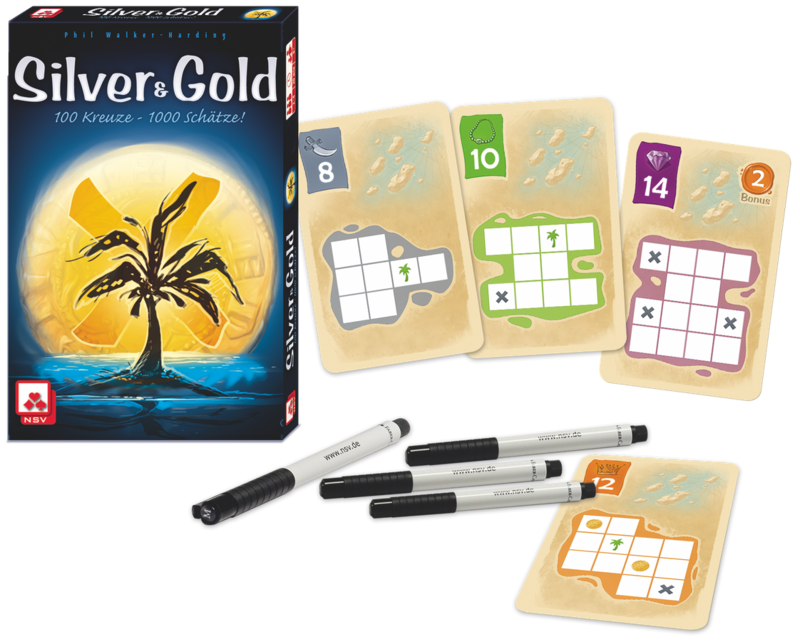 Matt: Hot out of the brain of Phil Walker-Harding – the Australian chap behind Sushi Go, Barenpark, Imhotep and Archaeology – comes Silver & Gold, another game in the popular WOSMATRIOA genre (Writing On Shiny Materials and then Rubbing It Off Afterwards). 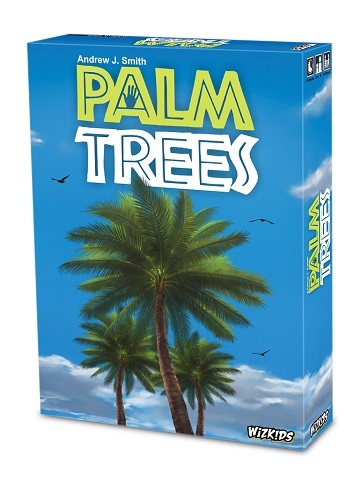 Aside from the prior clout of the game’s designer, this small box has piqued our interest by having you physically drawing on a whole deck of cards – each of which represents a dinky little treasure map. Box art and style looks deeply uninspiring, but I’ll keeping an eye out for this one regardless! Matt: Perhaps more importantly though, let’s talk about Palm Trees. This wonderfully dumb family game has a deck of cards illustrated with coconuts and fronds: hold six of them at once, and you’ve won. But, each card must be held in a very specific way, chosen by your opponents: this one between your thumb and little finger, this one between your middle and your index. As you contort your hands melodramatically like a crap magician, perhaps the greatest inclusion here are the fake tattoo sleeves that make your arm look like an actual tree trunk. Stuff this silly just makes me instantly squeak. Quinns: Our Kickstarters this week are both the happiest type of crowdfunding campaign- ones that have have already done this once, the first print run received great press coverage, and they’ve returned to Kickstarter with a giddy swagger. 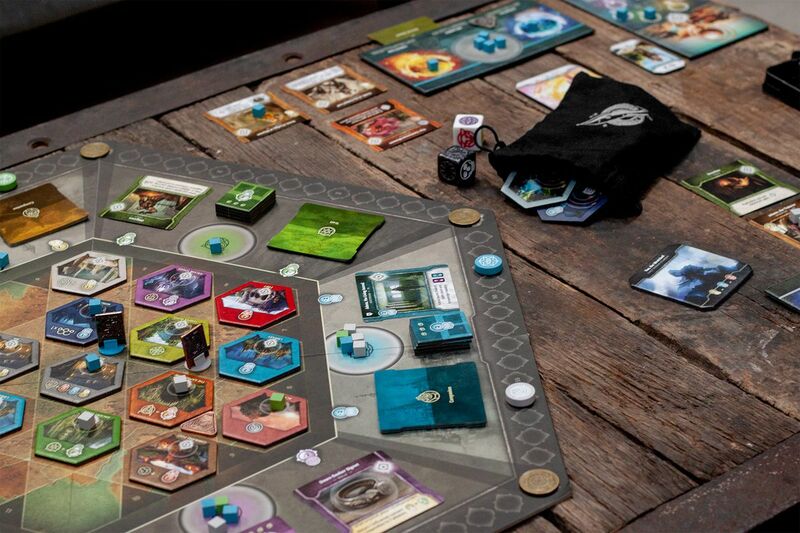 Vindication is a fantasy sandbox game with an unusual, abstracted board. Players are tasked with “mastering heroic attributes”, and do so by moving their pawn around the board, carefully managing their character and doing… well, heroic stuff. You can fight monsters, or claim territory, or collect companions, or visit some kind of wishing well, or a range of other things, always keeping one eye on your growing collection of powers. The key selling points here are that Vindication has some intricate resource management, gorgeous components and you’ll have to play many times to explore everything the game might cough up. Discovery, in the words of the creators, is “RAMPANT”. Replayability is “LIMITLESS”. Strategy is “SIGNIFICANT”. Cutting through the eye-rolling marketing speak, I’m pretty sure the appeal here is that it’s the kind of hybrid European/American game where you can carefully manage cubes and find a really big toad who’ll be your friend. You know? You can optimise your resource-usage while cuddling a centaur. That kind of thing. Matt: I’ve been pretending to be a really big toad who wants to be your friend a lot, lately. He’s called “Embassador Toadly from the Lilypad Kingdom” and my wife absolutely bloody hates him. Finally this week, we’d like to point you toward the second Kickstarter for the Shut Up & Sit Down Recommended game Champion of the Wild. A lot of people weren’t sold on this game after the basis of our original recommendation, and plenty still weren’t convinced by our review. It’s true that to get the best out of it, this a box that requires the deft touch of house rules: but if you’re still on the fence and keen to see how brilliant this game can be with the right people and circumstances, on Wednesday we’ll be posting the video of the live game of this we played at PAX Unplugged. 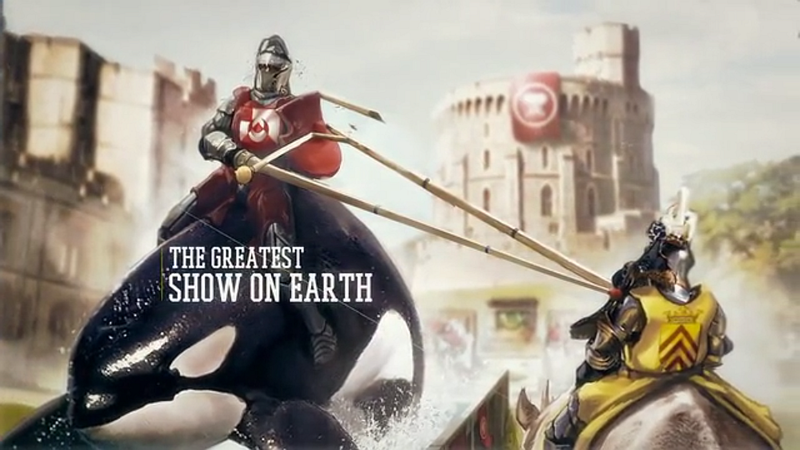 Keep an eye out for it on YouTube – that show was some of the most fun I’ve had in years.